I’ve lived in Texas just outside San Antonio for almost a decade now, and one of the cool things we enjoy here is Texas country music. Dance halls, ice houses and other venues feature live music almost every night. The tiny town of Gruene has three or four different venues, including Gruene Hall, the oldest continuously operating honky-tonk dance hall in Texas. And yes, couples actually get on the floor and dance while the music is playing. 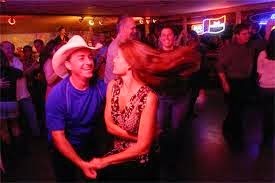 You see how easy it is, and when it comes to dancing (which everyone knows is a form of foreplay) that’s how cowboys like it – easy. When I’m not enjoying a local craft beer at a live music event, I’m probably thinking about more serious matters, such as learning and development and behavior change. But it dawned on me recently that the difficult, all-important business of improving skills and changing behavior also involves a two-step. At the most fundamental level, for training programs to succeed they need to be deployed in two steps - a kind of “learning and development dance,” so to speak. People need to know that something they’re doing is causing problems. Step One is to hold a mirror up to their behavior to help them acknowledge the issue, so they can begin doing the work to change and improve. The unspoken assumption is that if intelligent, committed and well-intentioned managers and employees discover they need to change something, they’ll want to address it. They’ll make an effort to do so. The assumption is that this kind of helpful feedback will empower the desired improvement. Yes, most people are intelligent, committed and well-intentioned. But old behavior patterns have been reinforced and ingrained for years. Peoples’ brains are literally wired for the old behaviors. So even if people want to make a conscious effort, in a fast-paced, challenging workplace old habits kick in automatically, and the conscious effort to do something differently often doesn’t happen. After several discouraging lapses, most people give up trying to change. The only way to improve or change an ingrained behavior pattern is to rewire the brain – to stimulate the brain cells to connect in new neural pathways. This is the only approach that works. But it requires a long-term effort involving reinforcement, ongoing feedback, encouragement, and accountability. This is the Step Two of the behavior change dance. Most learning and development professionals and the managers they serve already understand Step One. For decades now, organizations have been using technology to help employees get the feedback they need. The problem is, few of them understand Step Two. They don’t appreciate the kind of reinforcement, ongoing feedback, encouragement, and accountability that will give employees enough “reps” to rewire their brains. They don't appreciate how long it will take, and they don’t know if there’s a coaching technology that will support the follow-through efforts. They do Step One. But there’s no Step Two. So there’s no dance. And in most cases, behavior change doesn't happen. So here I am working on my 20-ounce glass of brew, listening to Willie Nelson and watching couples dance. Yes, Willie Nelson – for real. This is Texas, man. And the two-step is working its magic. What most organizations don’t realize is that affordable technology support for both Step One and Step Two already exists. 20/20 Insight is the preferred feedback technology for a great many organizations worldwide. It has been making Step One easy for over 20 years now. Strong for Performance, introduced in 2013, supports Step Two, the long-term coaching effort to ingrain automatic behavior patterns. The learning and development dance really can happen. If you do Step One, followed by Step Two. Reminds that we're overdue for some Gruene Hall two-stepping.